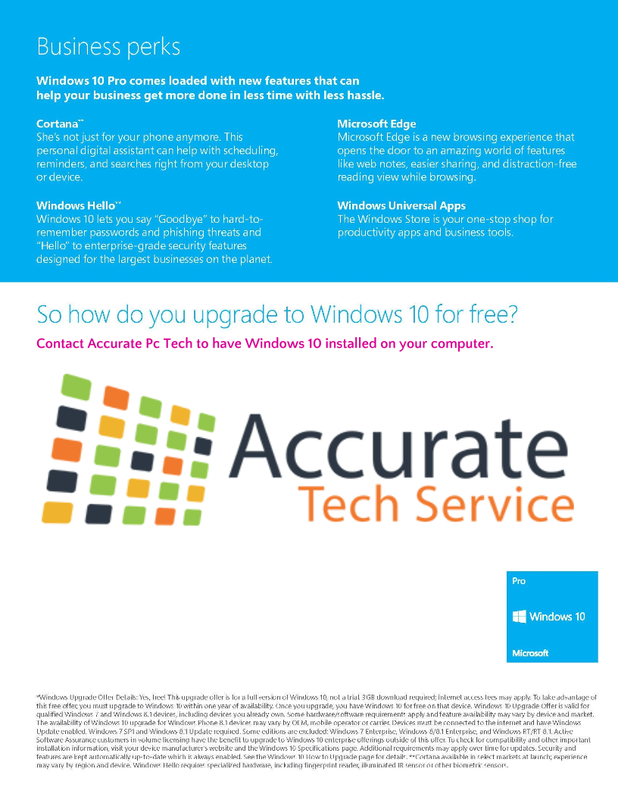 Windows 10 | Accurate Tech Service, LTD.
Big or small, we’ve got a solution when you need it. Our advanced service and support team will do their absolute best to help you solve your technology problems. 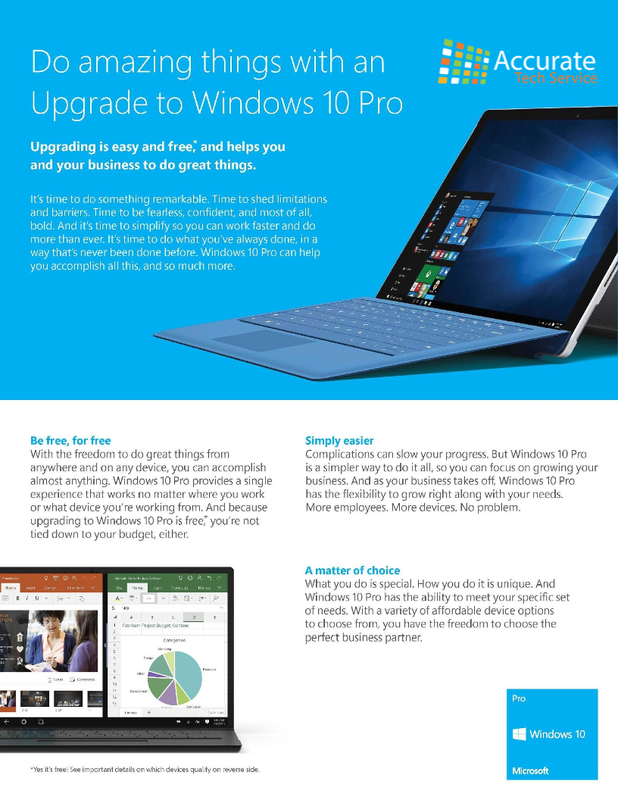 Copyright 2016 Accurate Tech Service, LTD.